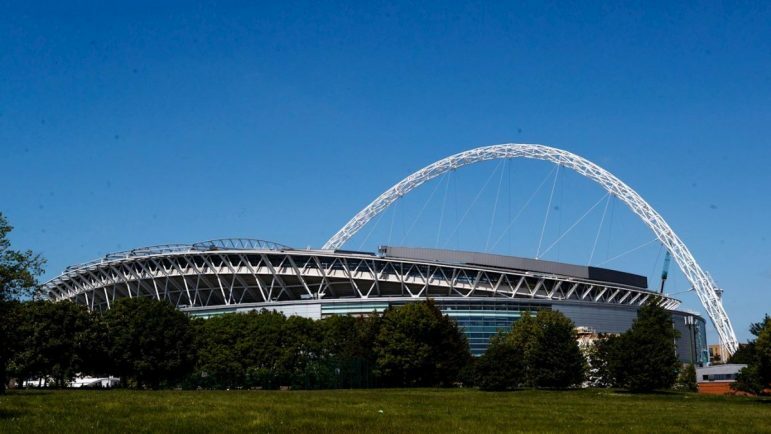 COVENTRY City have released travel information for fans going to Wembley on Monday as ticket sales headed for the 35,000 mark – amid warning of some train disruption. The Sky Blues play Exeter City in the League Two Play-Off Final on the Bank Holiday (3pm kick off) for promotion to League One. Planned engineering works on the West Coast Main Line could lead to some disruption so the club is advising planning your journey carefully. The usual recommended way of getting there is by train to Wembley station. The CCFC website states: “Please note Wembley Stadium is a public transport destination and is well catered for with public services, which is the recommended mode of transport to and from the stadium. The CCFC website adds: “There is a planned closure on the Northern Line between Charing Cross/Moorgate and Mill Hill East/Hampstead/High Barnet, as well as planned closures on London Overground and TfL Rail. “Please check before you travel and make appropriate arrangements around these closures. It also recommends checking on the Virgin Trains website. “Fans planning to head to Wembley on Monday are being urged to check before they travel. With Network Rail due to carry out planned improvement works to the West Coast Main Line this weekend, there will be fewer trains than normal down to London. “Both Virgin Trains and London Northwestern Railway will be running direct services to London with the first trains due to depart from Coventry at 0644, 0721 and 0744, followed by three trains per hour for the rest of the morning. “London Northwestern Railway is also running a matchday special leaving Coventry for Wembley Central at 1110 (arriving 1239), then returning from Wembley at 1837 (arriving Coventry at 1956). “Virgin Trains will similarly be running an additional to London Euston departing Coventry at 0912, calling at just Rugby. The return service is due to depart London Euston at 19:43. “With services expected to be very busy, supporters are advised to book in advance and check before they travel, ideally avoiding some of the earlier trains in an attempt to spread the expected demand for seats throughout the full morning service. “Virgin Trains staff will be on hand at Coventry station, with a queuing system in place to ensure everyone is able to board their services safely and in a timely manner. “Chiltern Railways will also be running services to from Warwick Parkway to and from London Marylebone. Coach travel, run with the Sky Blues’ official travel partner for this game EST UK, is still available. The CCFC website states: “EST UK took over 4000 fans to Wembley last season for the Checkatrade Trophy, and will be looking for the same again this year! “There will be a range of departure points, including Coventry (Ricoh Arena), Leamington, Rugby, Nuneaton and Bedworth. The CCFC website states: “For supporters wishing to drive please note there will be very limited spaces available at the stadium. “Therefore we would strongly advise the use of public transport. If parking is required please book well in advance via Wembley Official Parking to guarantee your parking space. “Blue badge parking is available to purchase via Wembley Official Parking .